On Tuesday, advocate Harish Salve, appearing on behalf of Maharashtra government in the case of judge BH Loya's death, handed over sealed documents to the Supreme Court. Judge Loya passed away in 2014 while hearing the Sohrabuddin Sheikh encounter case, in which BJP president Amit Shah was an accused. Sohrabuddin, a gangster, was killed by Gujarat police along with his wife Kausar Bi in 2005. Shah was later discharged in the case. After today's hearing in front of Justice Arun Mishra, the petitioner, 48-year-old Bandhuraj Sambhaji Lone, a Mumbai-based journalist who works in the Marathi media, spoke with Firstpost. Yes, the Supreme Court told the Maharashtra government that the petitioner should know all the facts and must be able to examine all the documents, including the medical report. But, due to its confidentiality, it can't be shared. Have you filed the PIL alone? I have filed it alone, as an independent person. I filed the petition on 10 January. The first hearing was on 12 January. 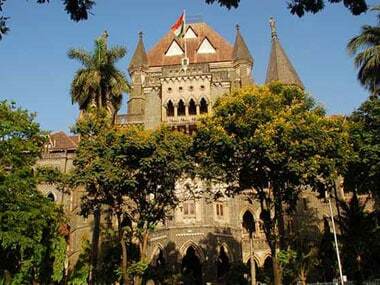 During the first hearing, the Supreme Court asked Maharashtra government to submit documents related to the case. Today, I was here for the second hearing and Salve handed over the documents to the Supreme Court. The next hearing is on 23 January. Tehseen Poonawalla filed another PIL petition independently. Why file a petition in Supreme Court? Others have filed petitions in the Bombay High Court, Nagpur Bench of Bombay High Court and the Punjab and Haryana High Court. I filed my petition in the Supreme Court as I felt it was the right forum to make my plea. The death of a judge — hearing an important case such as the Sohrabuddin Sheikh case — is a serious matter. I feel no proper investigation into the mysterious death of judge Loya has taken place. I pleaded for an independent probe monitored by the Supreme Court. Judge Loya died in Nagpur, where he'd gone to attend a wedding on 1 December, 2014. After his death, there was a hue and cry, but no real investigation took place. As a petitioner, it would be inappropriate for me to comment on any issue beyond the court's ambit. Are you seeking support from any political party? Neither I have sought support of any political party, nor has any party approached me. I want to make it clear that in the past, I have raised and fought for several issues on my own. In this case too, I'm not going to take any political support. I'll do it independently. However, politicisation of this issue can’t be ruled out and I can't stop any individual or party from moving court as a petitioner. Although the PIL is in my name as an independent petitioner, friends and like-minded people from the Mahatma Phule-Ambedkar group are supporting me. We want justice. "Our family is pained by the chain of events in past few days. 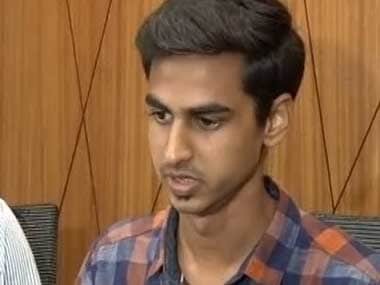 Please don't harass us," Judge BH Loya's son, Anuj Loya said to the media during a press conference on Sunday. 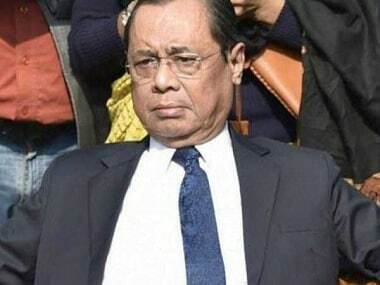 The press conference was held in Mumbai two days after top Supreme Court judges took on Chief Justice of India (CJI) Dipak Misra alleging 'selective' allocation of cases to benches. Warning that democracy is at stake, four senior judges of the Supreme Court had on Friday mounted a virtual revolt against the country's chief justice, raising questions on "selective" case allocation and certain judicial orders, sending shockwaves across the judiciary and polity. The judges had mentioned the allocation of a petition on judge Loya's death as an issue they had raised. "There is no controversy, no need of politicising the issue. This is a tragic event. We do not want to be victims of politicisation of the issue. Let it remain the way it is, non-controversial," lawyer Ameet Naik said at the conference on Sunday. "This is a matter of great grief for the family... Anuj is very disturbed about the issue. Anuj has held this press conference to clear the air about this," he added, reiterating his plea to the media to avoid politicising the death of BH Loya. Anuj's cousin and a family friend were also present during the press conference. Anuj said he did not have any doubts about the way his father died three years ago. "I had an emotional turmoil, hence I had suspicions about his death. But now we don't have any doubts about the way he died," he said to reporters. "Earlier my grandfather and aunt had some doubts about his death, which they shared. But now neither of them has any doubts," he added. When Anuj was asked if he wanted an investigation into his father's death, the 21-year-old said, "I am no one to decide if there should be an investigation. I don't think there was anything suspicious about this." Anuj, who is a second-year student of law in a Pune-based college, also urged NGOs and politicians to stop "harassing" his family. "We faced some pressure from politicians and NGOs. We don’t want to name anyone, but please excuse my family from continuously asking about my father's death," he said at the press conference. 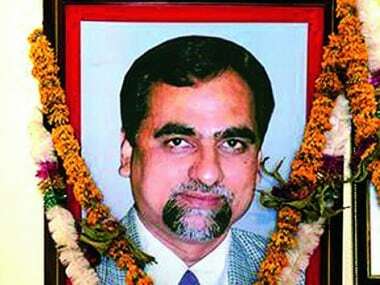 Special CBI judge Loya, who was presiding over the Soharabuddin "fake encounter" case at the time, died in Nagpur on 30 November 2014, where he was visiting to attend a colleague's daughter's wedding. He was said to have suffered a heart attack. 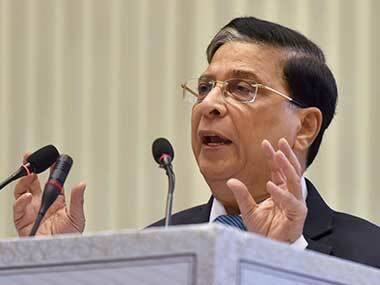 Regarding the Supreme Court's probe into Loya's death, the apex court said the "mysterious death" of BH Loya was a "serious matter" and sought a response from the Maharashtra government on pleas seeking an independent probe into it. A bench of justices Arun Mishra and MM Shantanagoudar asked Maharashtra government counsel Nishant R Katneshwarkar to file a reply by 15 January.